Welcome to Johnny-Tapete's vintage wallpaper shop! Our stock features about 400 different modells of original vintage wallpapers. 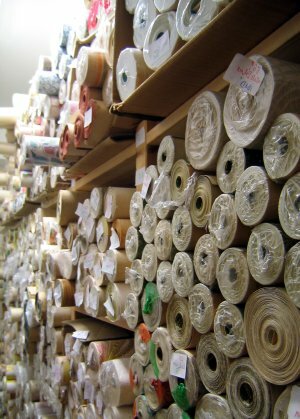 Depending on the modell the amount of available rolls differs - all wallpapers aren't produced anymore and had been bought from us all over europe. made by the fashion designer www.sisie.de from original 70s fabrics - very beautiful and every piece unique! We ship worldwide - have a look at our list of shippingcosts! Have a lot of fun on our homepage!